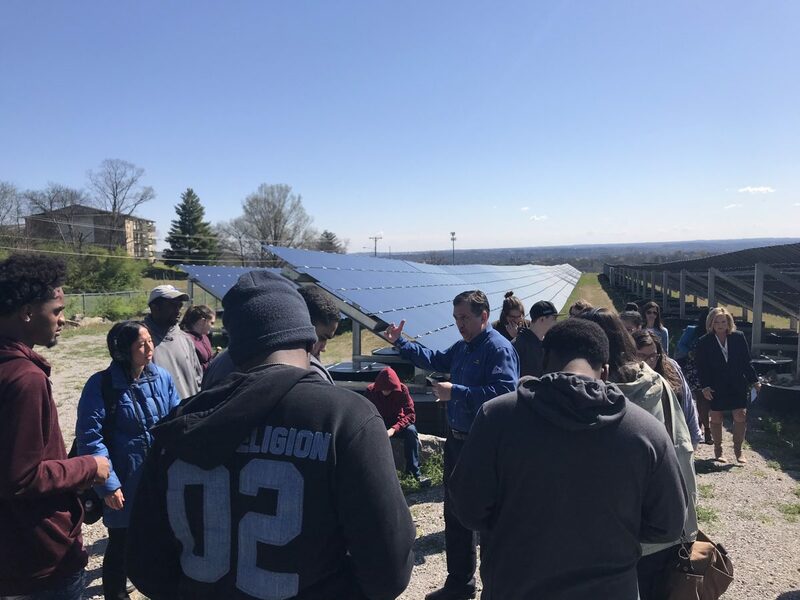 Nashville Electric Service (NES) hosted Whites Creek High School students for a tour of the Music City Solar farm on Tuesday, April 2. About 30 students toured the solar farm as part of Experiential Learning Days. The group is part of Whites Creek High School’s Academy of Alternative Energy, Sustainability and Logistics.